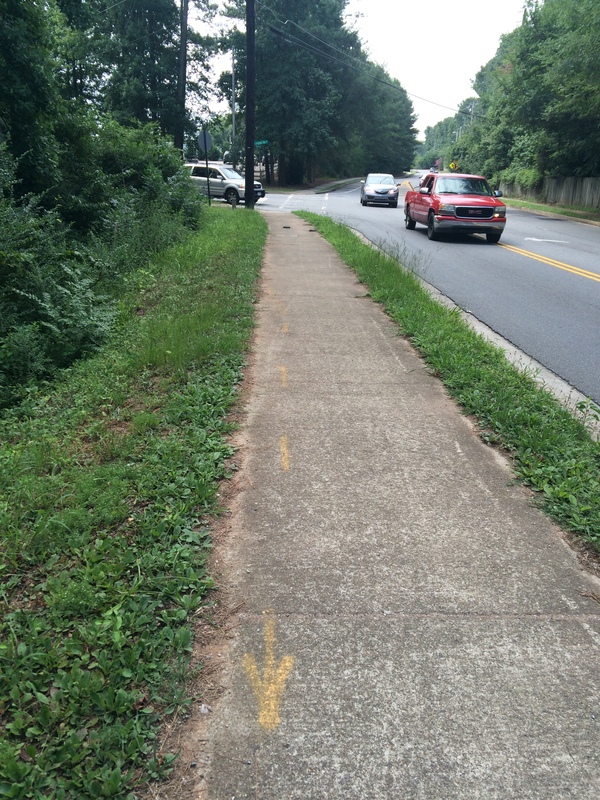 At the bottom of this photo is a faint yellow arrow on the sidewalk where I was walking one morning in Georgia. You can take the pilgrim off the Camino, but you can’t take the Camino out of the pilgrim. I just finished the Way of St. James on June 28, but I keep walking, walking, walking. *For those who haven’t walked the Camino, the way is marked with yellow arrows. It’s impossible to get lost if you’re paying attention. Although I will admit to losing my way a few times due to distraction. I haven’t stopped walking since my return, in spite of sore feet and soles so callused my skin looks and feels like a bull’s horn. Walking helps me maintain the peace I experienced after all the days of walking in the fresh air. Walking has become my medicine. I walk and think about writing, relationships, memories. I walk until I don’t feel anger or grief. I walk until all I know is that my body is exerting itself in the muggy heat, sweat coating all exposed skin. Photos from recent walks on Cape San Blas, FL. Six miles of brutal heat. At least I had ocean winds and waves. Your walking tales and photos are healing “medicine” for your readers too. That gladdens my heart, JC.